Specialising in Renaissance and Contemporary repertoire, ‘Lassus’, under the umbrella of Dublin Choral Foundation, recorded its debut album Resurrexi in July 2015. 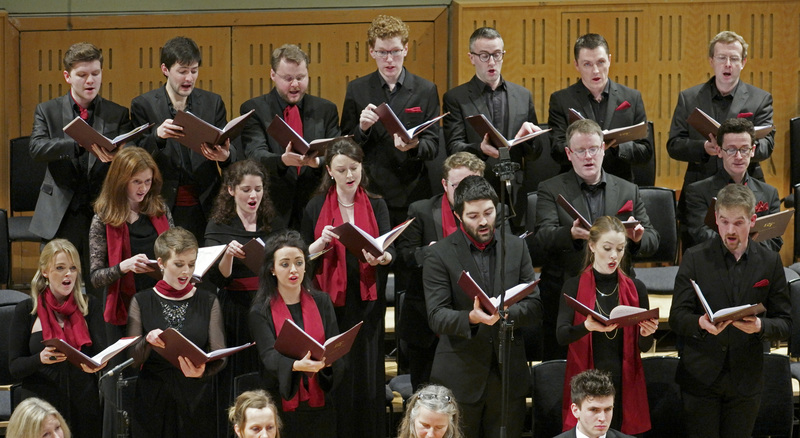 On January 27th 2016 Lassus gave its first public performance at the National Concert Hall, Dublin, performing Easter motets by Orlande de Lassus, a new composition by Grammy-award winner Bill Whelan “Gné na Gaeltachta” and Mozart’s Requiem. On November 11th 2016 Lassus presented Remember the Brave, in St Mary’s Church, Haddington Road, Dublin 4, in commemoration of those who died in 1916. This concert established a pattern for subsequent special events – a moving and atmospheric 90 minute concert programme is presented in an inspiring architectural space with wonderful acoustics during which music is seamlessly combined with poetic readings. This is no ordinary concert – it is an occasion not to be missed! In Memoriam Francis Ledwidge took place in the Cathedral of St Patrick and St Felim, Cavan on July 30th 2017 and on November 10th 2017 a second Remembrance Concert celebrating Francis Ledwidge and Patrick Kavanagh was presented in St Mary’s Church, Haddington Road. In September 2018 Lassus presented A Time for Everything in the beautifully restored St Mel’s Cathedral, Longford, collaborating once again with local poet Noel Monahan. The choir returns to St Mary’s Church, Haddington Road for its third annual Concert of Remembrance on Saturday, Nov 3rd 2018. As 2018 celebrates the centenary of the Armistice Lassus will present a similar concert in St Michael’s Church, Enniskillen on Sunday, Nov 4th 2018. See Events. Further domestic and international performances and recordings are planned. This exciting new freelance professional chamber choir is directed by Dr Ite O’Donovan.